only when you can look into your own heart. and I am a Board Certified Clinical Psychologist, currently in private practice at the Core Sport and Wellness Medical Centre in Durban North, Durban. I am a dedicated professional committed to providing a variety of quality mental health care services, with a special interest in Child and Adolescent psychopathology. It is my overall goal to enhance the quality of life for individuals and families. My belief is that all people are valuable and unique and should be treated with dignity and respect. I received my Bachelor of Arts Social Science Psychology Degree (BA (SocSci) Psych) from the University of KwaZulu-Natal (UKZN). I then obtained my Psychology Honours Degree (BA (Hons) Psych) two years later from the University of South Africa (UNISA). After obtaining my honours degree, I worked for 9 months as an Intern Psychometrist for the South African Police Services in their Employee Assistance Wellness Division. I then went on to obtain a Masters Degree in Clinical Psychology (MA (Clin) Psych) from the University of Zululand (UNIZULU), after completing a dissertation which focused on gender equity and psychopathology. 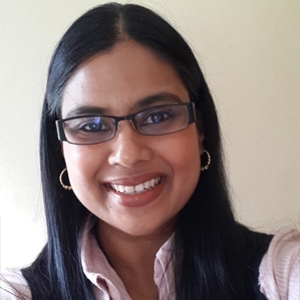 Thereafter, I completed my internship at Fort Napier and Townhill Hospitals in Pietermaritzburg and following graduation, I worked at Mahatma Gandhi Memorial Hospital, in Durban, for one year, as a Clinical Psychologist. Currently, I am working full time at my private practice in Durban North. I have worked in a variety of settings i.e. psychiatric hospitals and clinics, community clinics, general government hospitals, schools and assessment centres. My training has equipped me with the skills and knowledge to provide psychotherapy, counselling and psychological assessments to children, adolescents, and adults from all walks of life.